US ‘close to training Syrian rebels’ Officials say President Barack Obama may soon sign off on project to assist rebels in bid to end Syrian civil war. US President Barack Obama may soon sign off on a project to train and equip Syrian rebels not affiliated with al-Qaeda, administration officials said. Officials speaking on condition of anonymity on Tuesday, said the project would mean sending a number of US troops to Jordan that would help instruct carefully vetted members of the Free Syrian Army on tactics, including counterterrorism operations. The White House did not confirm or deny the plan, but said it was “constantly considering available options to combat the terrorist threat emanating from Syria and to facilitate an end to the crisis”. The State Department would also not comment. Spokeswoman Jen Psaki, however, told reporters that an array of options to support Assad’s foes remains under consideration. She also highlighted the terrorism threat, according to the Associated Press news agency. “We have been clear that we see Syria as a counterterrorism challenge, and therefore certainly we factor that in, in options we consider,” she said. The unnamed officials said Obama had yet to give his final approval for the initiative, and that there was still internal discussion about its merits and potential risks. In a foreign policy speech on Wednesday to the US Military Academy, Obama is expected to frame Syria as a counterterrorism challenge and indicate that he will expand assistance to the opposition, according to the officials cited by the AP. However, he is not likely to announce the specific programme, the officials said. The State Department, Pentagon, intelligence community, along with many in Congress who back the move, have concluded that Assad will not budge without a change in the military situation on the ground, according to the officials. At the same time, there are growing fears about the threat posed by al-Qaeda-linked and inspired fighters waging war in Syria, the officials said. The Senate Armed Services Committee last week passed a defence bill that authorises the defence department to provide training and equipment to vetted elements of the Syrian opposition. The United States already has covert support operations in place for the Syrian opposition, and it is not yet clear how the new programme would work. Washington has also spent $287m so far in non-lethal aid on Syria’s civil war, now in its fourth year. 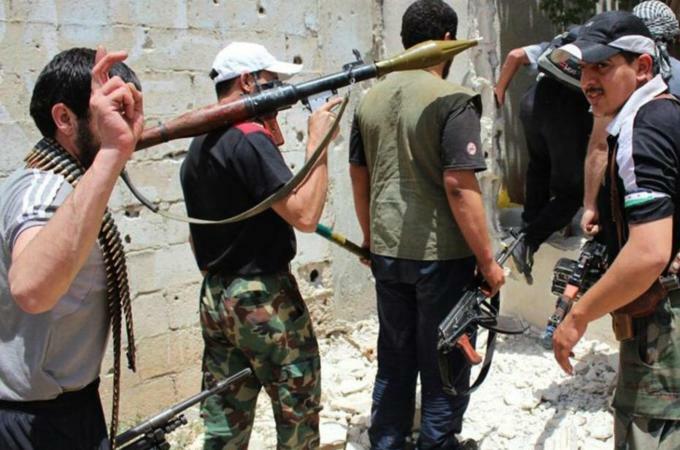 Rebel commanders have been asking the US for lethal assistance as they have seen gains wiped out one after another. However, the US has been reluctant to move to that kind of aid for fear weapons could end up in the hands of what it calls extremist rebels who might then turn on neighbouring Israel or against US interests.